By now, most business owners are aware that there is a large market of potential customer just waiting on the internet, and that having a website is necessary for remaining relevant in the 21st Century. Those who don’t know are presumably still operating their business from under a rock. But just saying businesses need a website is no more helpful than saying oil can be found in the ground. To make the most of the internet, business owners need to be aware of the things consumers expect and want from an internet experience. So to help internet marketers make the most of their web efforts, here are five things that every website needs to have. This may sound obvious, but it is surprising the number of sites that don’t contain a map or directions. Besides the apparent reason that maps and directions show customers how to reach a business, this is the kind of information consumers search for when they get online. A recent study by Prosper Insights and Analytics showed that this is true for almost all age groups. According to their research, nearly half of consumers online, from Baby Boomers to Generation Y use the internet routinely to search for directions and maps, making it a good internet marketing practice for any target demographics.. If a business doesn’t have an easy-to-find map and directions on their site, then consumers will first go to site that does first. Depending on what reviews and comments they see there, a business could be losing sales before customer even reaches their site. As should be clear to anyone reading this blog, social media is powerful force for internet marketers and businesses should do what they can to integrate their social media into their website. Just to drive the point home, a recent study from the UK showed that every Facebook fan a retailers page produced, they received an extra 20 visits to the website. Sure, America isn’t the UK, but the countries are similar enough that one would expect similar rates for the US. Including links or plugins to social media channels does a lot to spread brand awareness and to build a closer relationship with customers. Though a little dated, a 2011 Facebook report showed that the average media site that integrated with Facebook saw a 300% increase in referral traffic. This trend remains true for a variety of industries; when Facebook was incorporated into a website, people stayed on news websites longer, made more purchases from online retail shops, and increased registration for concerts and events. Just as businesses were beginning to grasp the importance of the internet, the smartphone has come and changed the game. Customers around the world are turning to their mobile devices for everything, e-commerce included. A recent study from consumers around the world showed that 80 percent of the world’s consumers consult their mobile devices before making a purchase and that 2 out of 3 smartphone users use their phones to make retail purchases. “Mobile commerce today is a platform to take e-commerce to the masses, something that works for everyone,” states the report. Even if a business can’t realistic sell services through mobile, they can still use the platform to set appointments, allow check-ins, etc. This doesn’t mean that business should start paying for mobile app development (though, it is something to consider). What is does mean is that business owners should ensure their current sites are optimized for viewing on mobile devices. It’s just as important to make sure that e-commerce tools are usable on mobile devices. This means checking that text instructions can be easily read; making sure that input areas are accessible and mobile friendly; and that mobile orders are promptly received and handled. Sometimes, it’s the smallest things that make the biggest difference, and this is the case with shipping options. Though people often pick shipping options last, the factor determines how much people buy as they shop and whether or not they complete the transaction. According to one study, when people abandon their carts at the checkout portion of a website, their reasons are either they didn’t want the particular item or they weren’t satisfied with the shipping options. In other words, businesses were losing sales due to their lack of shipping options. This is why 90 percent of online retailers now include free shipping or in-store pickup options. Not only can better shipping options keep consumers on a site, it may be the factor that draws them in the first place. As more and more businesses begin to appreciate the importance of internet marketing, the competition becomes more fierce. Better shipping options may be what differentiates a business from its competitors. Speed matters in internet marketing. The average website takes seven to nine seconds to load, but the consumer expects page to load in less than half that time, even on mobile devices. Not surprisingly, 80 percent of consumers in one study said they were unsatisfied with their mobile web experience for that reason. There are a couple of things a business can do to ensure their sites are loading quickly. First is to limit the size of pages. In the US more than half of mobile users are using 3G networks, which average about 2 Mbps. So trying to limit pages for mobile devices to 1 MB should help the pages load quickly regardless of the strength of the network. The coding of the site can also be optimized so as to reduce dependencies and the number of files a browser has to download. If research has shown anything, it’s that businesses that are receptive to the desires and concerns of their customers always do better in the end. A company’s website should conform to the customer and not the other way around. 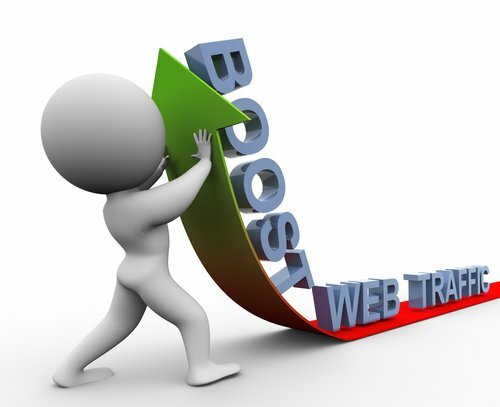 Making sure that a website has the five things mentioned here will help to please the customers of a site. And when customers are happy, not only do they come back, they usually bring a friend.